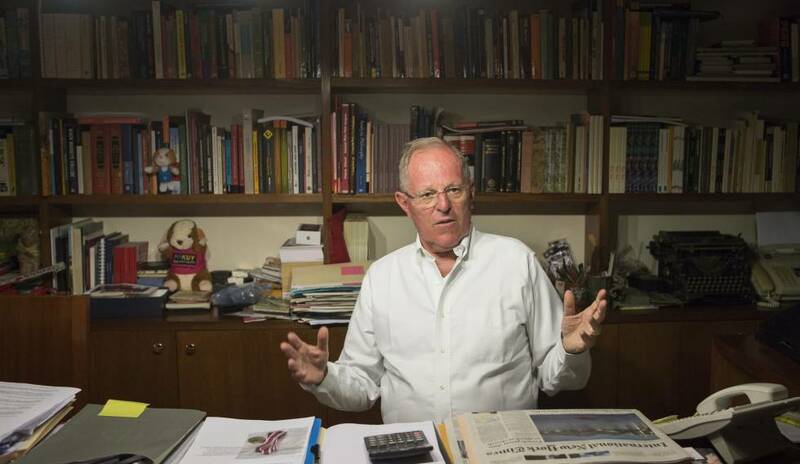 Educated at Oxford and Princeton, PPK, as he his known in the Andean nation, was educated at Oxford and Princeton, has been a World Bank economist, a former prime minister, twice exiled – once during the military dictatorship of the late 1960s, and again under Alberto Fujimori during the 1990s – Kuczynski beat his rival, Fujimori’s daughter Keiko by just 39,000 votes. His father was a Jewish doctor who fled Nazi Germany, settling in Peru, where he became a specialist in tropical diseases and set up the San Pablo leprosy clinic, and where, in the 1950s, a young Che Guevara would work as a volunteer. Kuczynski’s mother, a Swiss-born music and literature teacher, was the aunt of filmmaker Jean Luc-Godard. Out of Congress’s 130 seats, your party, Peruvians for Change, only has 18 seats, compared to the left’s 21 and the 73 of Keiko Fujimori’s Popular Force. Q. You have promised a social revolution. Where do you intend to start? A. We want to start a social revolution: this country is very backward. Business leaders still talk about cholos [a disparaging term for the working class, mainly ethnically Andean]. They are living in the nineteenth century. Water and health are our priorities. The program to provide water to Peruvians should generate half a million jobs. It’ll be interesting to see how PPK works out. I have noticed that in ebook titles for Roberto Ampuero. Once, again, thanks for introducing me to Roberto Ampuero.